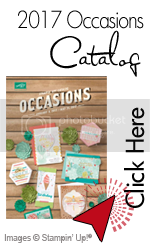 It's Sale-A-Bration time again at Stampin' Up!, and free product is what it's all about! When you spend $50 on Stampin' Up! merchandise, you'll receive a free Sale-A-Bration reward. There's no limit-for every $50 you spend, you can select another free Sale-A-Bration reward. When you host a workshop of at least $300 (before tax and shipping), you'll receive a free Sale-A-Bration reward in addition to all of the regular hostess benefits! 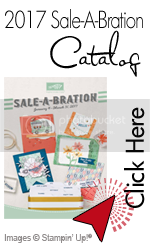 During Sale-A-Bration, anyone who joins as a demonstrator can choose any stamp set-a value of up to $47.95-from our current Idea Book and Catalog. Plus, for a limited time, get 15% off the price of the Starter Kit! The Sale-A-Bration promotion starts TODAY and runs through March 31, so don't miss your chance to earn free products! CONTACT ME today to book your workshop or learn more about this promotion. 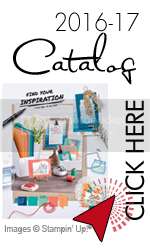 Ask me to send you a copy of the colorful and inspiring brochure. You can also view the Sale-A-Bration brochure online.